1. Mix the flour, baking powder, and salt in a bowl. Once mixed add 1/2 cup of milk to form a dough. Next fold in the lard until smooth. 2. If needed, add more milk little by little until the dough is smooth. Be careful that you don't make the dough too thin or it will be tough to roll out later. 3. ke the dough from the bowl and knead on a floured surface until it's ready. Loosely cover and let stand for about 30 minutes. 5. Place one tortilla on an ungreased skillet that has been preheated to 400º. Let it cook for about 30 seconds and flip. The second side will cook faster than the first. A finished tortilla should have golden brown spots but be mostly white. Try and time the completion of the tortillas so they are done just before you eat since warm tortillas are the stuff of dreams! I have always been afraid to make Flour Tortillas, but I thought this would be the perfect time to try. 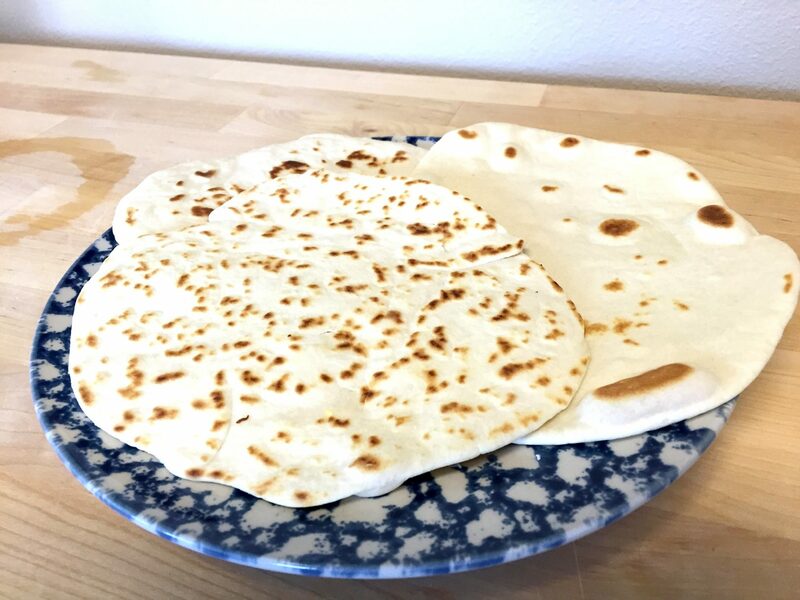 Honduran Flour Tortillas are very easy to make. We put scrambled eggs, refried beans, avocado slices, quest fresco cheese and crema mexicana in the tortillas. They provided the perfect backdrop for all of those bold flavors. We found that they were great either folded and eaten by hand or laid flat and eaten with a fork, it really just depends on how much of the filling/toppings you want. They were very easy to make and very delicious. We are definitely going to make these again.